Queens Head in Wymondham has a car park. The pub has a function room that can be booked, it has an outside area. Queens Head has a smoking area. The pub has a dart board, it has a pool table. Queens Head has a big screen. The pub shows football on TV, it has Sky Sports. Queens Head has terrestrial TV. Cross Keys in Wymondham has disabled facilities. The pub is a family friendly pub, it serves food. Cross Keys has an outside area. The pub serves real ale, it has a real fire. Cross Keys has a smoking area. The pub has free WiFi, it holds quiz nights. Cross Keys is a member of the BII. Windmill in Wymondham shows football on TV. The pub has terrestrial TV. 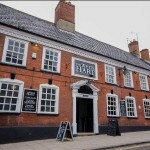 We are a local Pub serving Food and Drinks throughout the day. With Breakfast, Lunch and Dinner Menus you and your family can visit anytime for great food. We are open late for drinks 7 days a week. The Green Dragon Inn is a friendly, historic inn run by David, Justin and chef Leesa. 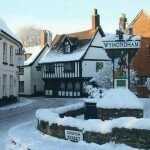 Located in the beautiful English town of Wymondham, close to the Cathedral. Wymondham Snooker Club in Wymondham has a dart board. The pub holds Poker Nights, it has a pool table. Wymondham Snooker Club holds quiz nights. The pub has a big screen, it shows football on TV. Wymondham Snooker Club has Sky Sports. The pub has terrestrial TV. Robert Kett in Rustens serves real ale. The pub is a member of Cask Marque. Wymondham RFC in Rustens has an outside area. The pub shows live comedy, it has DJ's. Wymondham RFC has karaoke. The pub has live music events.